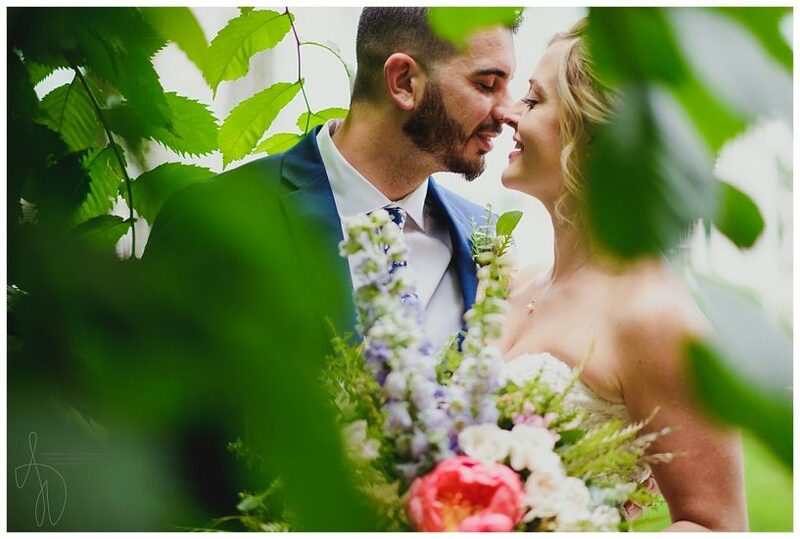 Last summer we had the pleasure of hosting Katelyn and Anthony at our barn for their picture-perfect Maine wedding. Katelyn and Anthony met while working together. They dated for a few years and Anthony proposed in their home. They worked with Steven Salmeri to bring their vision of a perfect barn wedding to fruition. We’re actively booking 2019 dates now. 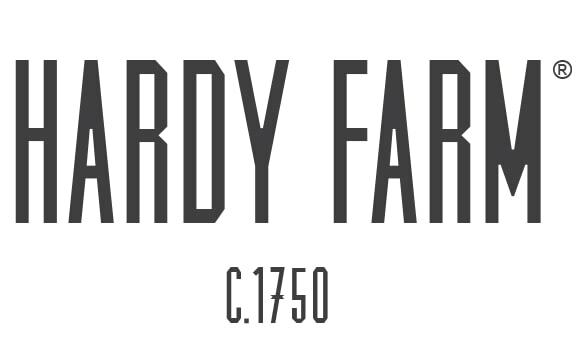 Contact us to schedule your visit or to reserve your July weekend at Hardy Farm. 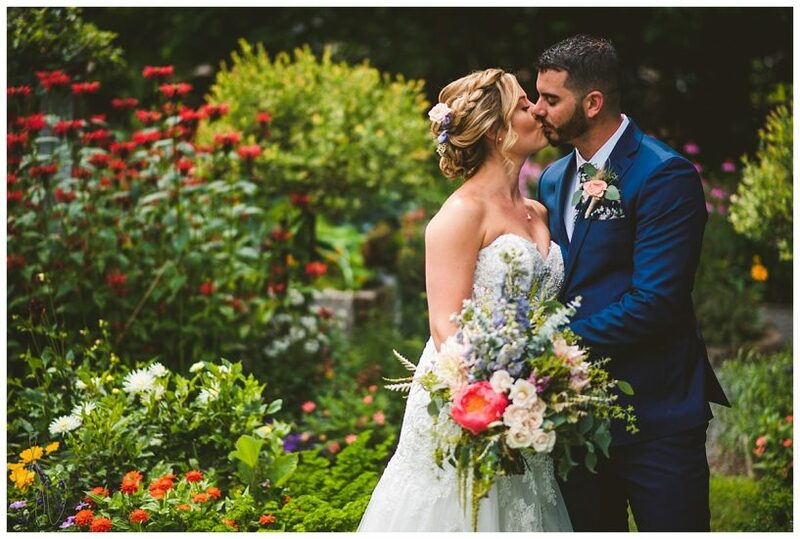 At their July wedding, their photographer Alexsandra Wiciel, dramatically captured our gardens in beautiful full bloom which accented the beauty of their event, and Katelyn’s native Maine flowers by Dutch Bloeman Winkel only further completed the colorful summer floral theme. The setting, wedding party flowers, and table décor made for the most beautiful pops of color around every turn. Speaking of flowers, we loved Anthony’s floral tie. 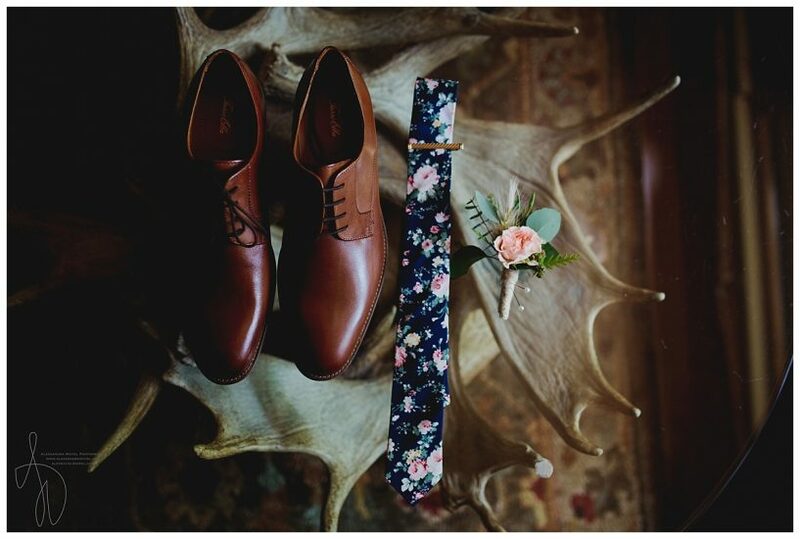 A nice men’s floral tie can add playfulness and elegance to a suit. Anthony wore a handsome blue suit and the floral tie with pink and white was a wonderful accent. 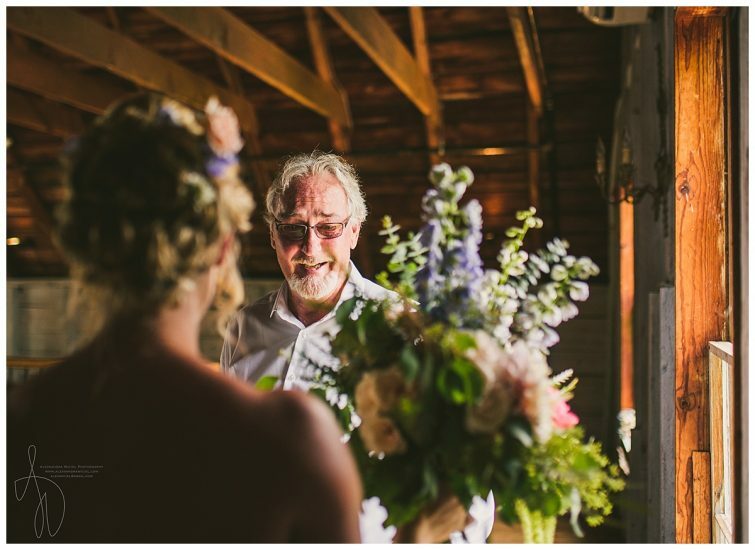 We also loved Katelyn’s first look with her father where she gave him a tie with a note sewn into the back of it. The moment was sweet and it was a very special gift. We also loved the simple excellence of what they did with our pergola. Romantic white draping was hung to one side and tied back with more of Katelyn’s beautiful flowers. Lastly, we thought the naked cake from Lisa Parker from Cakes for all Seasons was the perfect fit for the vibe of the day. The cake was very lightly frosted and decorated with flowers and berries. Congratulations Katelyn and Anthony! 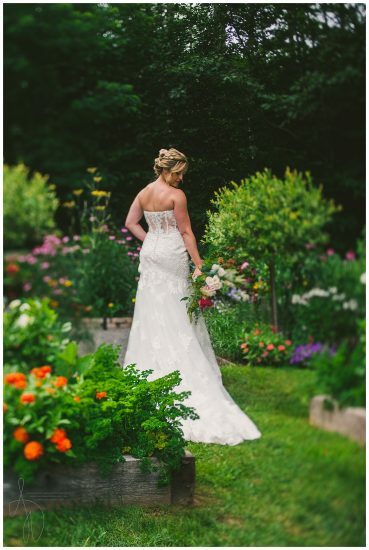 We will not soon forget your perfect summer garden wedding in Maine!